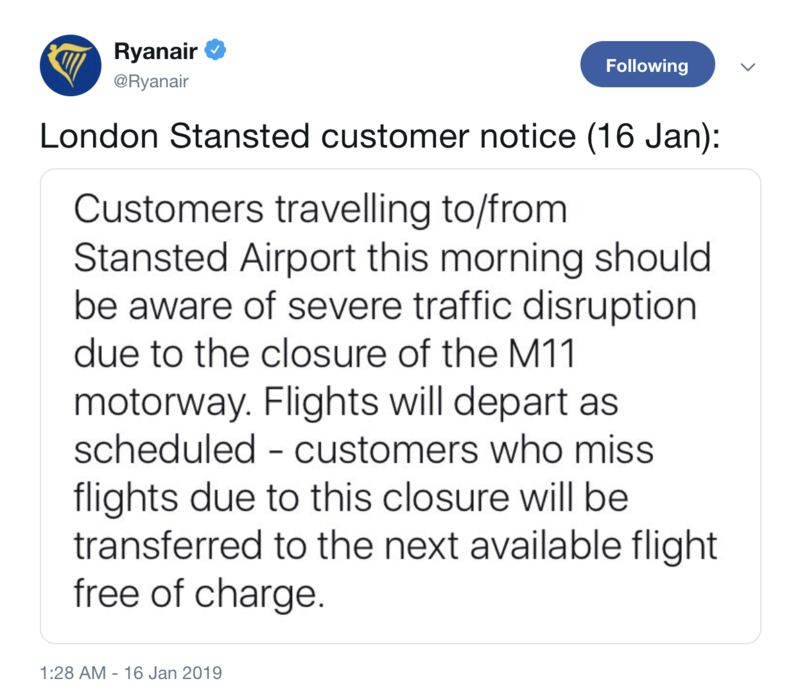 Travellers heading to Stansted today are facing severe delays after the M11 was closed in both directions due to a 'serious' crash. The crash, involving a lorry and a motorcycle, has forced police to close the motorway southbound between Junction 8, for Stansted, and Junction 7 for Harlow, and northbound between Junction 6 (M25). The northbound side re-opened at around midday but with one lane still closed. The southbound side remains closed and emergency services are still on the scene. Ryanair said flights will leave on time but is allowing affected passengers to switch to a later flight free of charge. Drivers are being advised to avoid the area where possible and seek alternate routes.